• Practise understanding your body language. • Practise the skill of asking questions. • Practise the art of listening and reflecting. • Practise saying what you think. • Practise sharing your ideas. • Practise asking for what you want. 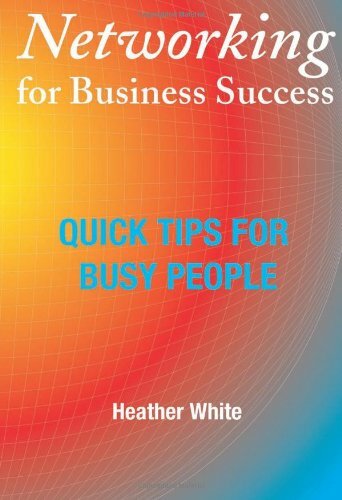 • Practise being who you want to be – step into that role now. • Practise concentrating on the other person and making it interesting for both of you. New business: 90% of your new business comes from focused, proactive networking and word-of-mouth referrals. Career development: 70% of new positions are filled using positive networking strategies. In future: Employers will want you to demonstrate that you are well networked. 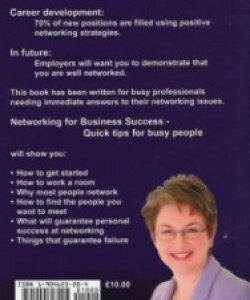 This book has been written for busy professionals needing immediate answers to their networking issues.